This abandoned graveyard is an overgrown mass of around 100,000 graves dating from 1833. 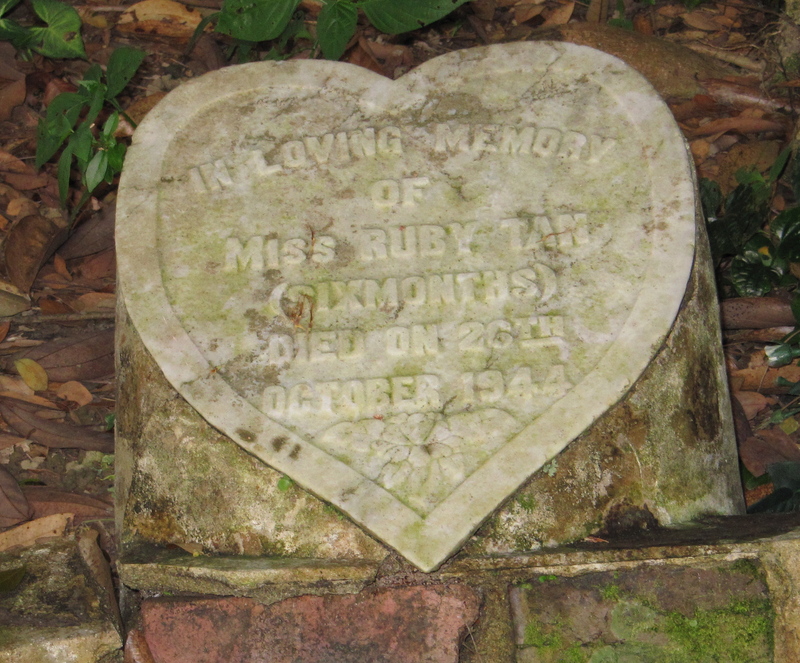 Buried here are Singapore’s pioneers, war heroes, beloved children and revered ancestors. 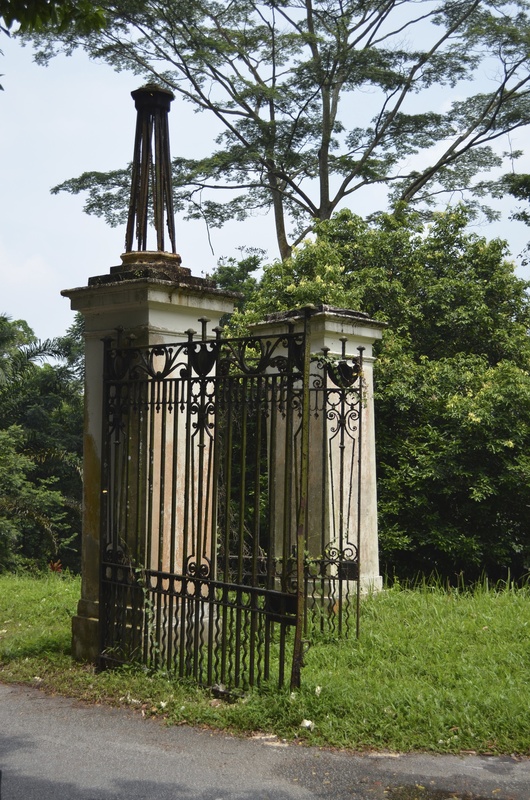 Bukit Brown has been closed for burial since 1973 and while some of the plots have been maintained by descendants, many are derelict and consumed by the jungle. 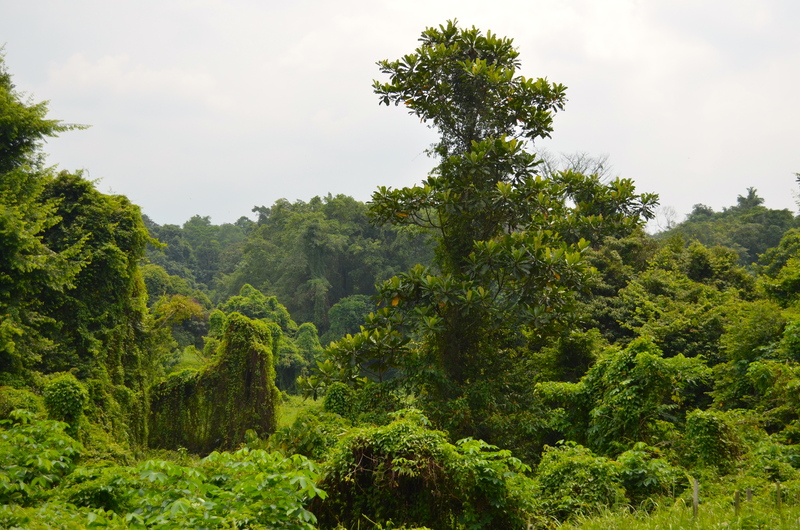 However, the overgrown graves are no less beautiful and it’s good to see nature thrive in the last of Singapore’s jungle – one of the island’s only places devoid of landscaping. A walk through Bukit Brown is like stepping back in time. The thick, tropical jungle swallows everything in its path and even the newer graves look as though they’ve been there for hundreds of years. 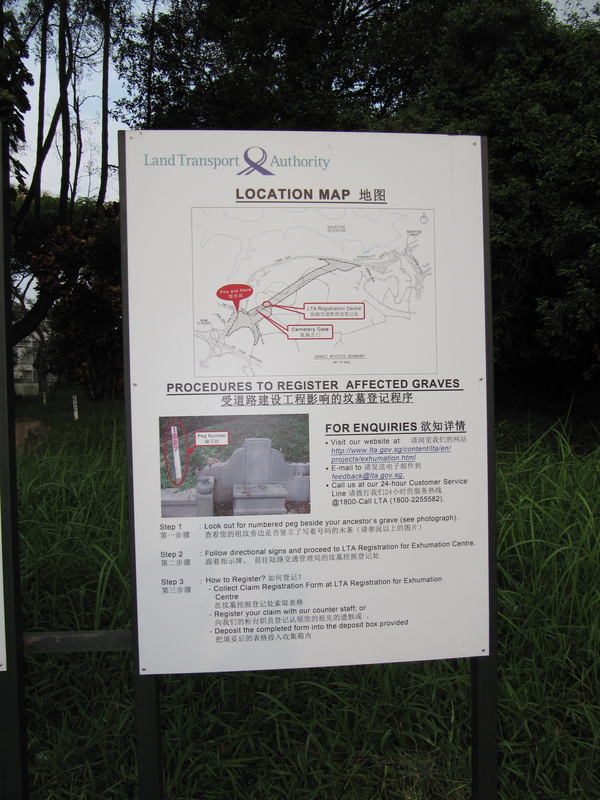 The original land was bought by wealthy Hokkien businessmen as a burial ground for their clan. As it extended, many Chinese pioneers, such as co-founder of Nanyang University and Businessman Tan Lark Sye, are buried here. A tour of the headstones is like a Who’s Who listing of prominent Singaporeans. The graves, arranged according to feng shui specifications are the resting places unusual assortment of Christian, Hindu, Taoist, Muslim and Buddhist graves, many of which have been exhumed. 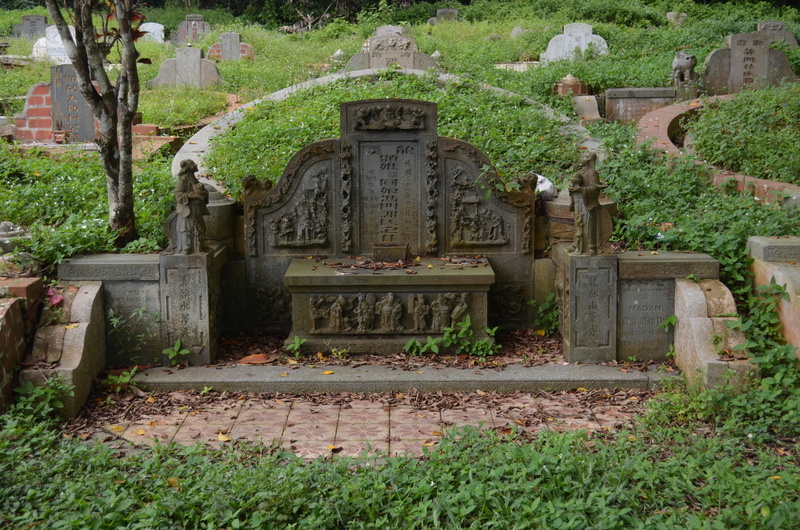 Bukit Brown is chiefly a Chinese cemetery and the largest of its type outside of China. 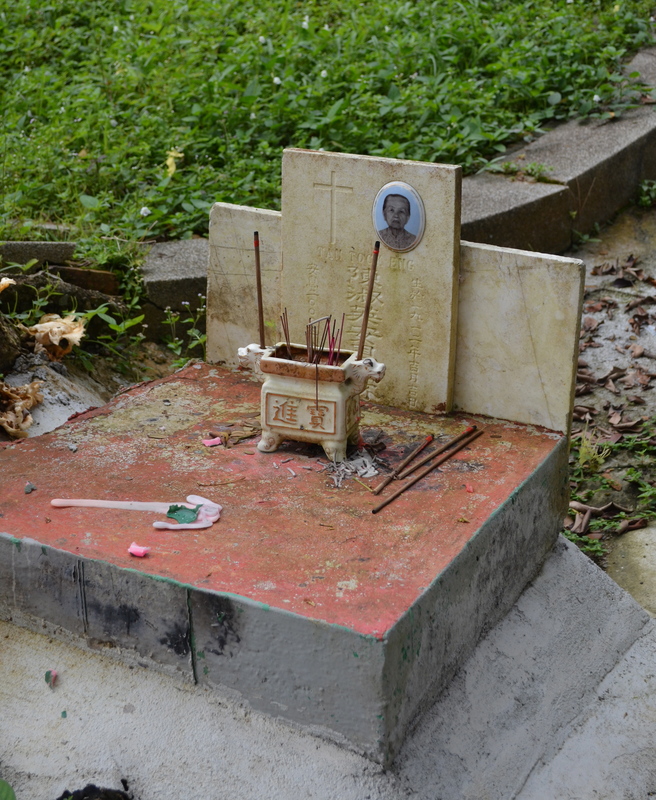 Famous figures of Singapore including Cheang Hong Lim, Chew Joo Chiat, Chew Boon Lay, are buried in Bukit Brown. 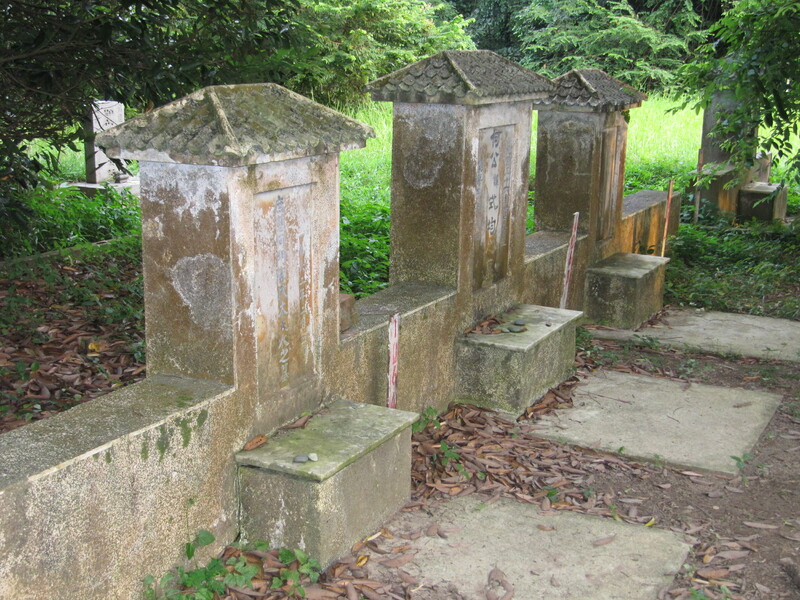 Lim Su Min, a prominent Singaporean Doctor, offers tours of the graves of his famous Peranakan ancestors in the cemetery. Many buried in this cemetery were members of the Progressive Party who once sided with Yuan Shikai, President of the Republic of China. After the party’s demise they fell off the grid and their memory is preserved at Bukit Brown. Scholars and rich merchants have been given opulent tombs, Ong Sam Leong, father of the wealthy Ong brothers who built and owned Singapore’s successful New World Theme Park has the largest tomb at Bukit Brown. When Singapore was invaded by the Japanese during World War II, battles were fought on the grounds of Bukit Brown and nearby Adam Park. 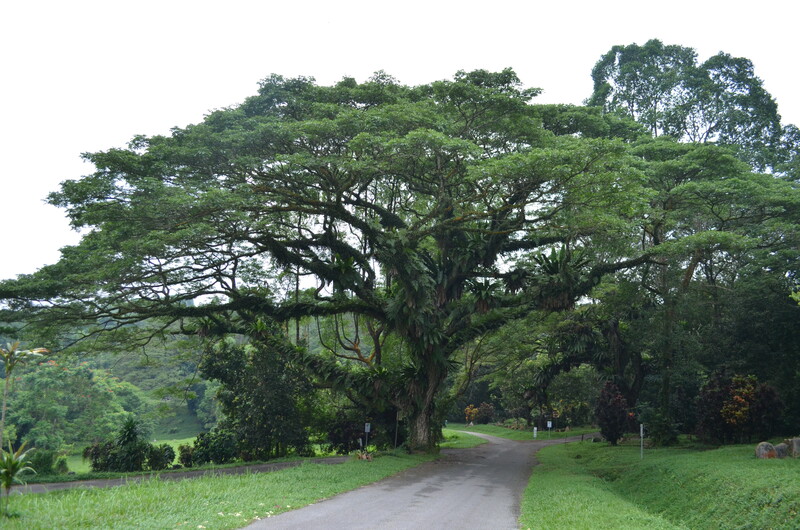 The cemetery is close to the MacRitchie Reservoir and it is also situated near a beautiful large rain tree. Nature is left alone to act as it desires, providing a beautiful aesthetic to the cemetery. There are small paths and roads to allow for walking, running, and cycling. Although of priceless heritage value to Singapore, indeed the whole world, this piece of history is now the victim of developers as Singapore progresses and the population increases. Land prices are at a premium and Bukit Brown will be knocked down to make way for yet another expressway. This freeway will destroy many of the original graves and the serene habitat of Bukit Brown’s precious wildlife. 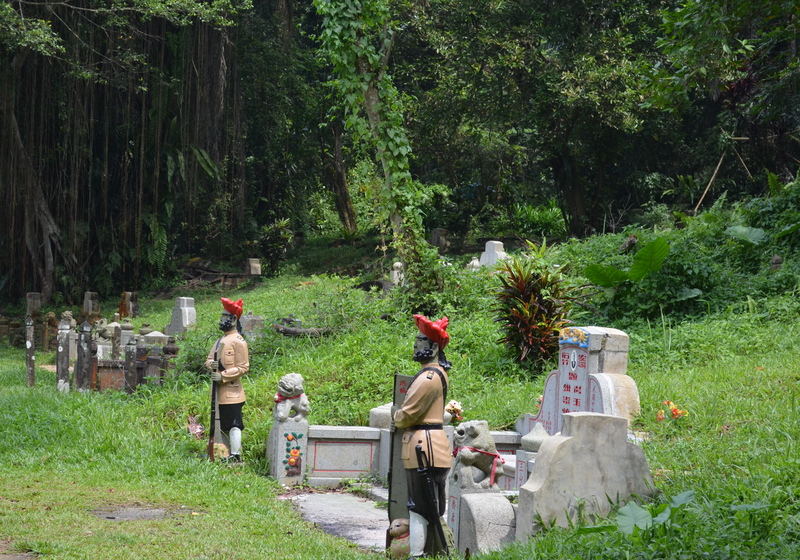 The reactions of locals to the destruction of something as rare and beautiful as Bukit Brown have been largely negative, especially those who’ve had their ancestor’s remains exhumed. People have united through several Facebook groups, Bukit Brown blogs and websites such as bukitbrown.com and SOS Bukit Brown to give this exceptional historical site the recognition it deserves. Another dedicated group is Save Bukit Brown – look them up and give them your support if you are touched by this magical piece of Singapore’s past. Bukit Brown is easy to reach by public transport or car. From Sime Road you turn into Lorong Halwa. If you don’t drive, there is a newly opened Bukit Brown metro station and lazy people can pick up a taxi for $10-30 dollars. I don’t want to say good bye to Bukit Brown and hello highway, do you? How terrible, but not surprising, that this will be destroyed in the name of development! Such a waste – see it all if you can while it’s still there!